Who Do You Want to See at the Sunset Green Event Lawn? After months of construction, we at 24 North Hotel and our sister hotel The Gates are excited to put the word out about our new Sunset Green Event Lawn. The multipurpose event lawn is designed to host weddings, concerts, family reunions, special events, movie nights and more, with a capacity of up to 1,200 guests. The outdoor landscape invites guests to host a number of events with the flexibility to make it your own with amenities, including but not limited to tents, dance floors, portable air conditioning units and more. It’s also great place to hold a team summit or corporate event, especially when considering the amenities on property. 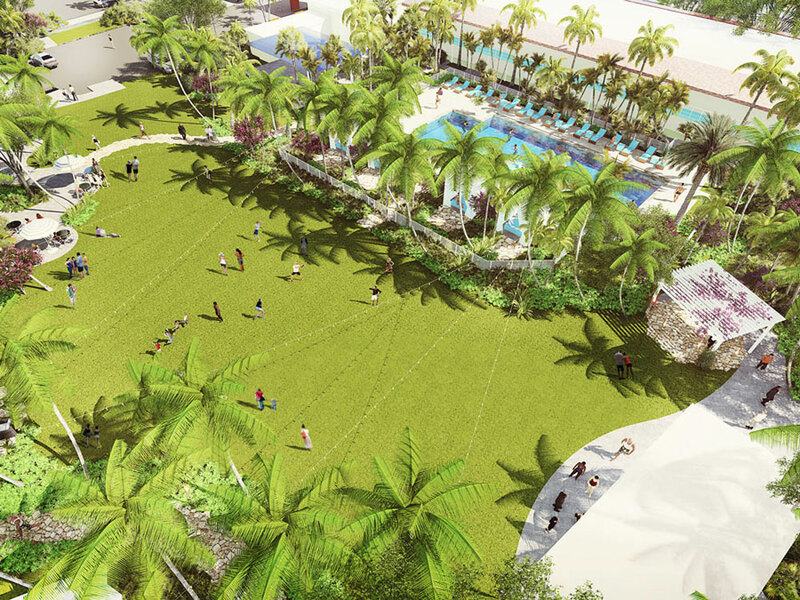 Not only will the hotel rooms be taken care of, but you’ll also have all of 24 North’s perks to choose from, like our poolside bar & restaurant Toasted Coconut, our on-site Starbucks and our well-equipped fitness center. We kicked-off the opening celebration of the Sunset Green Event Lawn in December during our Flip Flops & Fireworks event where guests enjoyed live music by Fuel on Fire, onsite-concessions and, of course, fireworks. On February 28, the outdoor space will convert into a concert space to host Grammy-winning musician Michael McDonald, presented by Rams Head Group. If you’re interested, head to our Facebook page for more info or order tickets here. Now, we want to hear from you. Our guests, readers or future visitors: who do YOU want to see in concert at The Sunset Green Lawn? Leave a comment below and tell us what you think. Booking a stay in Key West? Check out our best available offers here.